1. Collection of Information. We may collect information that identifies you as an individual (“Personal Information”) on our Sites. This Personal Information as discussed herein does not include your personal health information. The participant terms and conditions and use and disclosure of your information (“Participant Consent Form”) for those applicable services provide the terms relating to the collection and use of your Personal Health Information. If you purchase a membership you will be required to provide certain information, including your name, address, birth date, gender, email address, and an emergency contact. You will also be required to provide similar information for other members on your membership. You will be required to provide financial account information. We use this information to establish and manage your membership. We will send you an email confirming your membership. We provide you the opportunity to voluntarily contact us with inquiries. If you choose to do so, you will be required or requested to provide certain Personal Information, including your name, phone number, email, and membership status. We will use this information to respond to your inquiry. We use log files, cookies and clear gifs on our Sites and in our HTML-based emails to track the interests of our users. Log files include internet protocol (IP) addresses, browser type, internet service provider (ISP), referring and exit pages, operating system, date/time stamps, and clickstream data. Cookies are small text files that are stored on a user’s computer for record-keeping purposes, including session ID cookies (which expire when you close your browser) and persistent cookies (which remain on your hard drive for an extended period of time). If you remove persistent cookies, you may still use our Sites. We do not knowingly collect Personal Information from or solicit persons under 13 years of age. 2. Use of Information. In addition to the uses of information noted above, we will use your Personal Information for member or customer service purposes, including to respond to your inquiries, to provide the services or products you request, and to manage your relationship with us, including but not limited to communications about changes in monthly dues, fees or center access privileges or collection of past due amounts related to your membership. We may also use your Personal Information to contact you for marketing or informational purposes about Seacoast Sports Clubs, including communications to promote products or services offered by Seacoast Sports Clubs or our strategic partners or to provide information about activities, opportunities, programs, or other items which may be of interest to you as member of Seacoast Sports Clubs or a particular member interest area. We will not sell or otherwise provide your Personal Information collected through the Seacoast Sports Clubs Site to any strategic partner for the purposes of advertising or marketing. We use other companies to perform certain functions on our behalf and to provide you certain web-based applications, services and resources, including processing payments or fulfilling orders for products or services; processing athletic event registrations; servicing and maintaining our Sites; managing your relationship with us, including sending communications; and assisting you in managing your health and fitness experience. We may also use other companies to conduct research, surveys, giveaways or contests. In no event will we share your Personal Information obtained through the Seacoast Sports Clubs Site with other companies, unless specifically agreed to by you in the Participant Consent Form. In no event will we sell or otherwise provide your Personal Information to third parties for marketing purposes. Unless you consent to it, we do not sell or otherwise provide your personal information to third parties for marketing purposes. 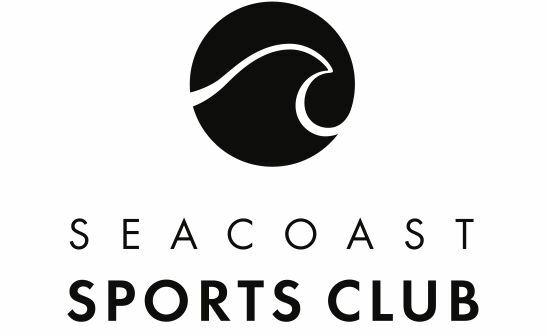 You may opt out of Seacoast Sports Clubs marketing communications via direct mail, email and/or telephone. 4. Security. We follow generally-accepted industry standards to protect your Personal Information.